How to dim a led tube, dimmer for dimmable tube, install dimmer for LED tube. How to Dim a LED Tube Light? 1. Firstly you need to make sure you purchased the dimmable LED Tubes. 2. And before that if it's retrofit installation, and you already have the dimmer in your circuit, please check and get known what's kind of dimmer in your housing. Usually the old fluorescent tubes installation, it's the TRIAC Dimmer (phase dimming). 3. The dimmable LED Tubes we provide are mostly this the TRIAC dimmable ones. With this kind of tubes, you can dim the tubes with your existing dimmer directly. First, let’s look at some of the symptoms you may encounter when the dimmer and the LED lamp or fixture are not compatible. Drop and Pop – When sliding the dimmer to a lower light output, the light may suddenly cut out altogether, or, when sliding the dimmer to get a higher light level, the light unexpectedly jumps to full brightness. Gaps – When sliding the dimmer along the full range from highest light level to lowest, there are parts of the range where nothing happens when the dimmer slider is moved. Ghosting – The dimmer slider is at the bottom of the dimming range which should be OFF, but there is a glimmer of light still coming from the lamp. 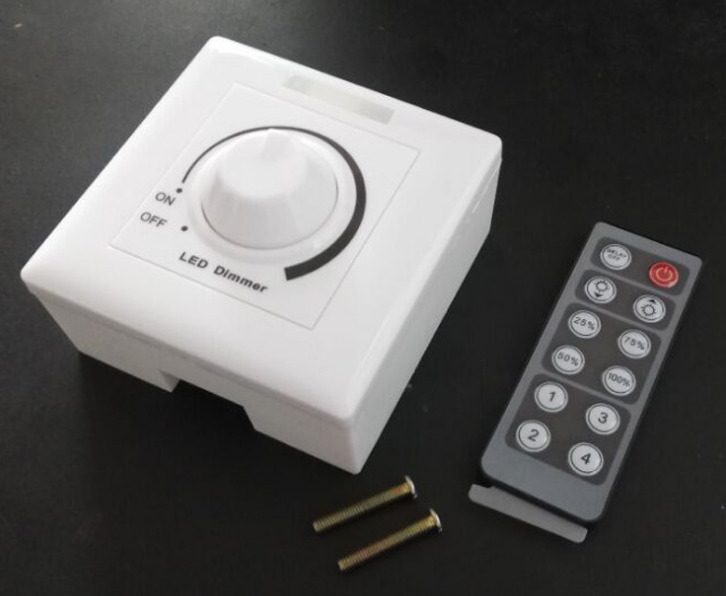 Many LED lamp dimming specifications will indicate that you can dim the light output down to 10% of full brightness and then the lamp will go off. Ghosting may occur with lamp / dimmer incompatibility. Flicker and Flash – When paired to a dimmer, the lamp produces pulsating bursts of light. This symptom is an obvious sign of incompatibility. So how can you prevent these annoying problems in your application. (1) Make sure the LED lamp or fixture specifications indicate it is dimmable. (2) If you are pairing your LED lamp to an existing dimmer, see if that dimmer is on the dimmer compatibility list that the LED lamp manufacturer should provide. (3) If you cannot locate a dimmer compatibility list, try to determine if the existing dimmer is “leading edge” or “trailing edge” type dimmer. These two types of dimmers modulate light level by altering the voltage at different phases of an alternating current’s sine wave. Leading edge is by far the most common dimmer used with incandescent and halogen lamps. They are normally designed for higher wattage than the LED replacement lamp will have. When leading edge dimmers are used with LED, chances of encountering some of the symptoms above are high. Trailing edge dimmers are designed specifically for LED. They work with lower wattages and they are made to be digitally compatible with LED. You may need to replace your existing dimmer with a “trailing edge” type dimmer to get good dimming functionality. (4) For commercial and institutional installations where multiple lamps and dimmers may be involved, it is always safest to purchase one or two units and test those with the existing dimmer control.